Heads up, everyone! It is officially autumn so do you know what that means?? It is soup season! It is also a great time for my slow-cooker to get a workout. I love to prep my soup in the late morning and let it simmer on low until dinner time. 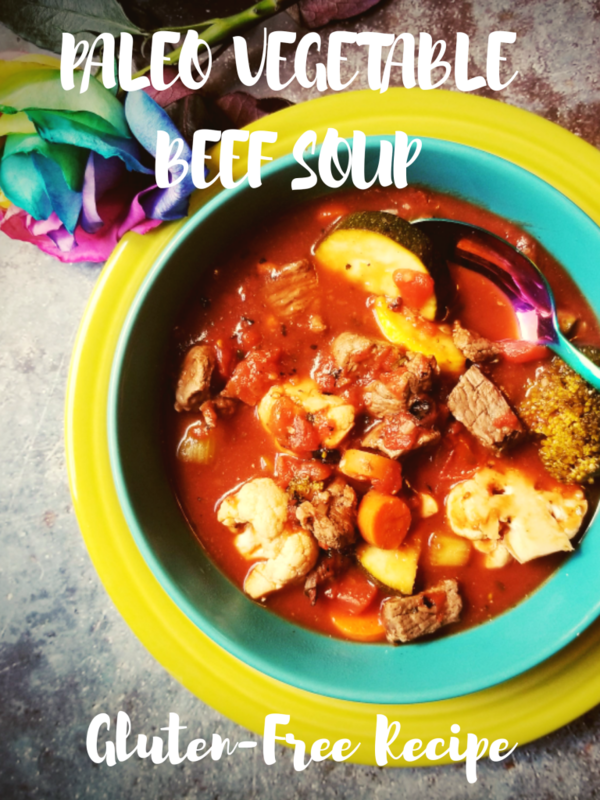 This recipe is for a paleo vegetable beef soup. Your slow-cooker will be full to the brim with meat and veggies. Vegetables galore This paleo soup is all about clean eating. It is also focusing on health and wellness. Inside this soup you will find the following vegetables: carrots, celery, broccoli, cauliflower, zucchini, yellow squash, onions, and garlic. I also used two cans of Muir Glen's organic fire-roasted crushed tomatoes. If you follow my blog you would know that Muir Glen is my go-to brand for my organic tomato needs.